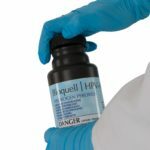 Bioquell is a world leading supplier of hydrogen peroxide vapour decontamination equipment and services for healthcare, life sciences, food processing and defence sectors. 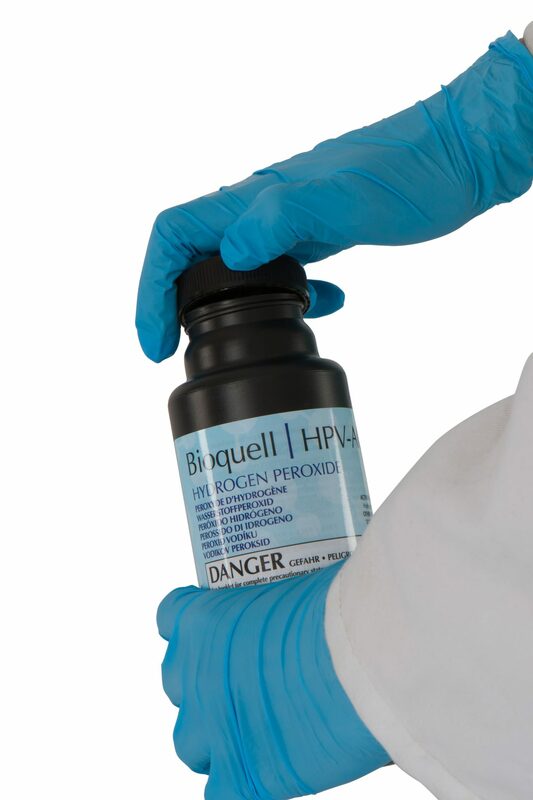 Bioquell’s unique hydrogen peroxide vapour (HPV) bio-decontamination technology is globally used to eradicate problematic bacteria, viruses and fungi with an extensive scale of application in healthcare, life sciences, food processing and defence sectors. 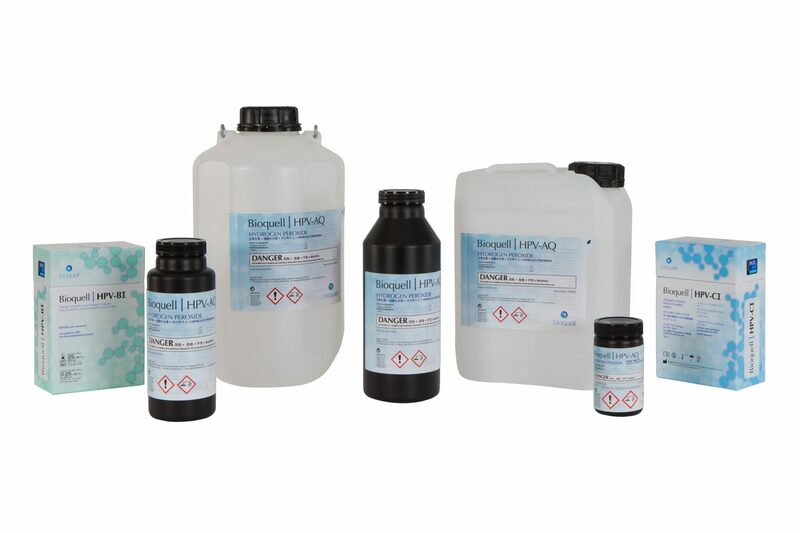 The Bioquell offers systems ensuring residue-free safe and reproducible sterilizing of premises, buildings, equipment and sensitive electronics using HPV as a clear alternative replacing the traditional decontamination agents such as formaldehyde or the chlorine-based products. 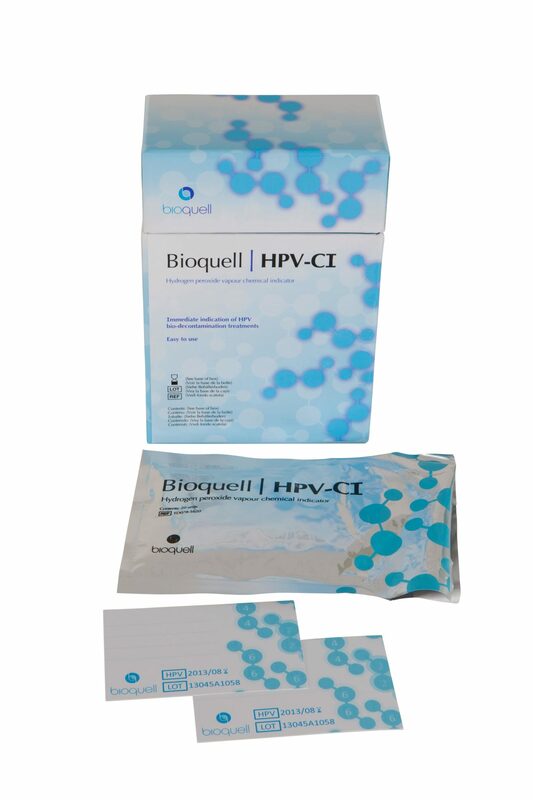 Hydrogen peroxide vapour (HPV), bio-decontamination technology and services intended for use in life science sector. 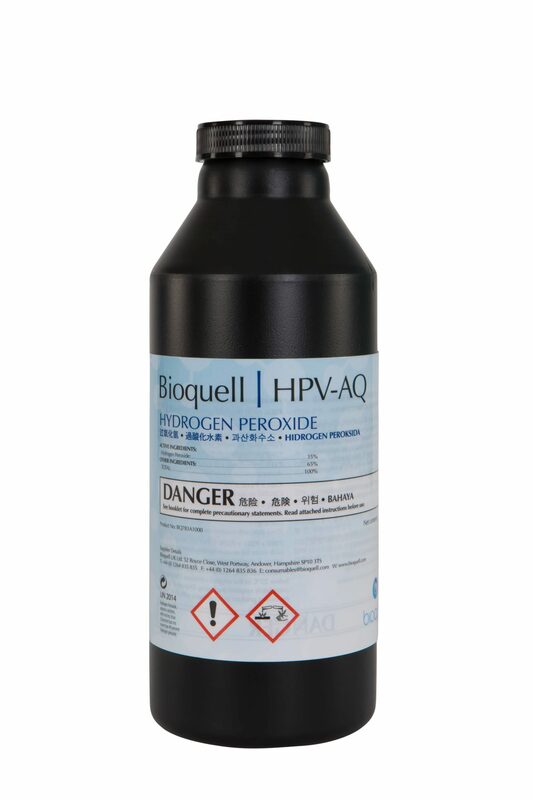 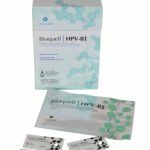 Bioquell’s unique hydrogen peroxide vapour (HPV) bio-decontamination technology is globally used to eradicate problematic bacteria, viruses and fungi with an extensive scale of application in the sectors of pharmaceutic, bio-technology and biomedicine. 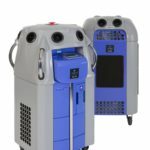 With no harm to aesthetics or function this technology is used to disinfecting sensitive and high-priced electronic equipment. 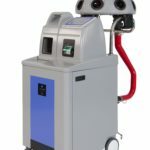 For the process is residue-free downtime is cut to the minimum. 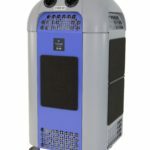 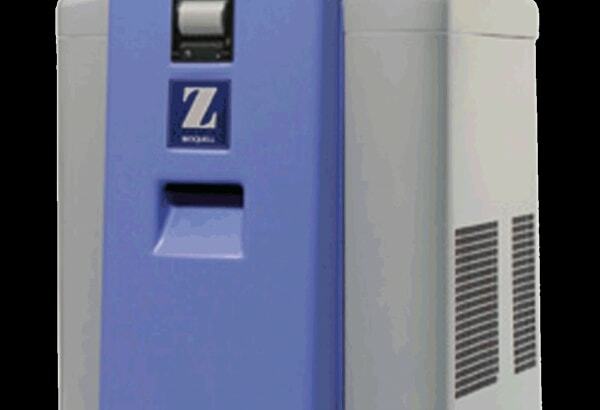 This unique BIOQUELL Z hydrogen peroxide vapour (HPV) generator has been designed to foster establishing and maintenance of contaminant-free conditions in life sciences. 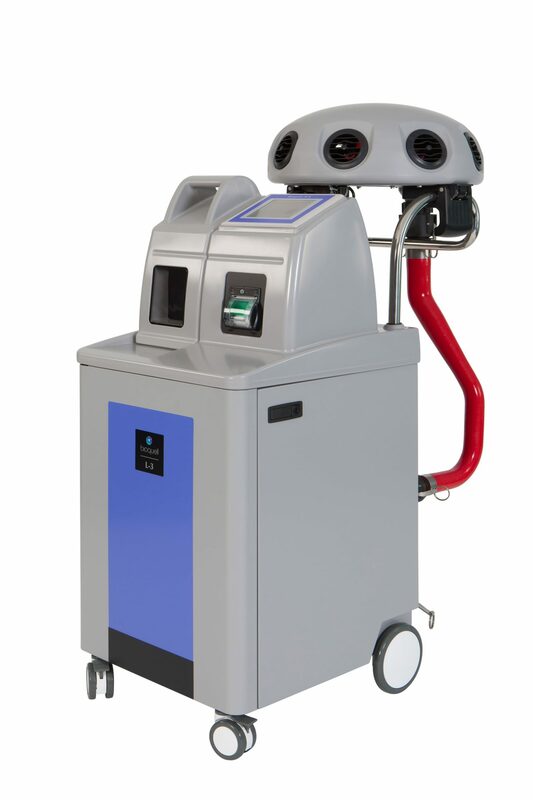 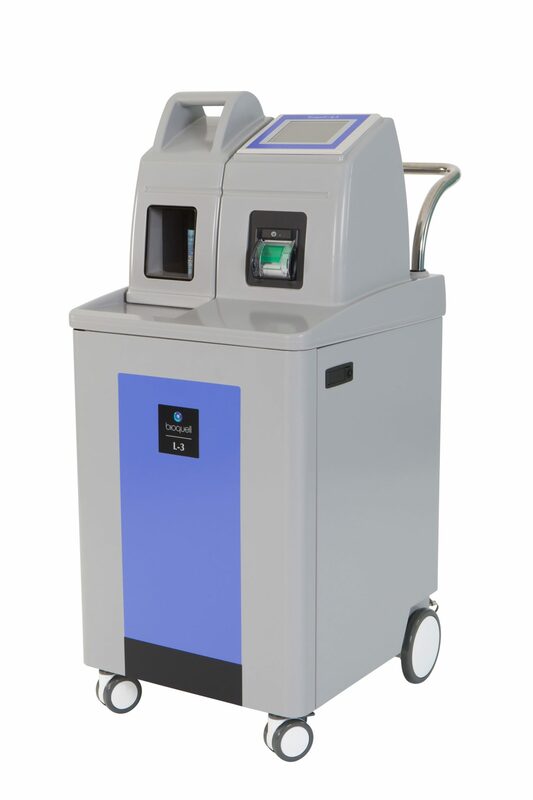 Replacing the carcinogenic HPV as become in short the most preferred decontamination technology in industry. 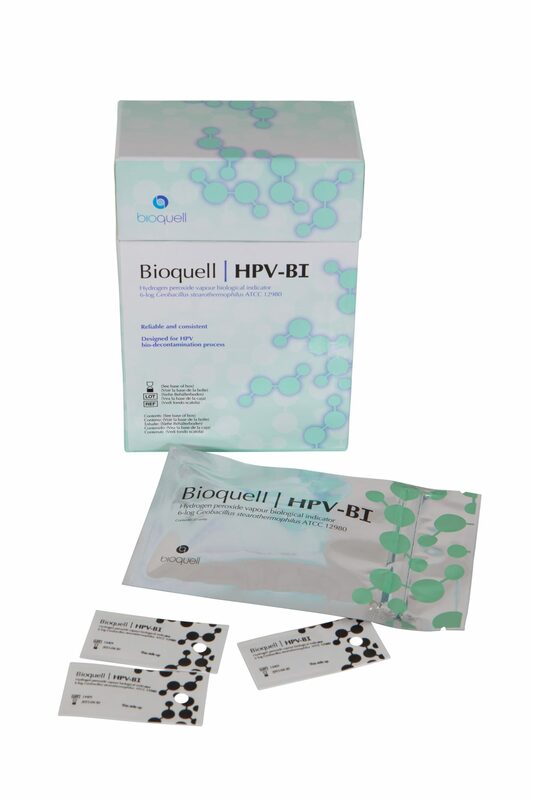 For further information Click here… , and you will be directed to the official website of BIOQUELL UK. 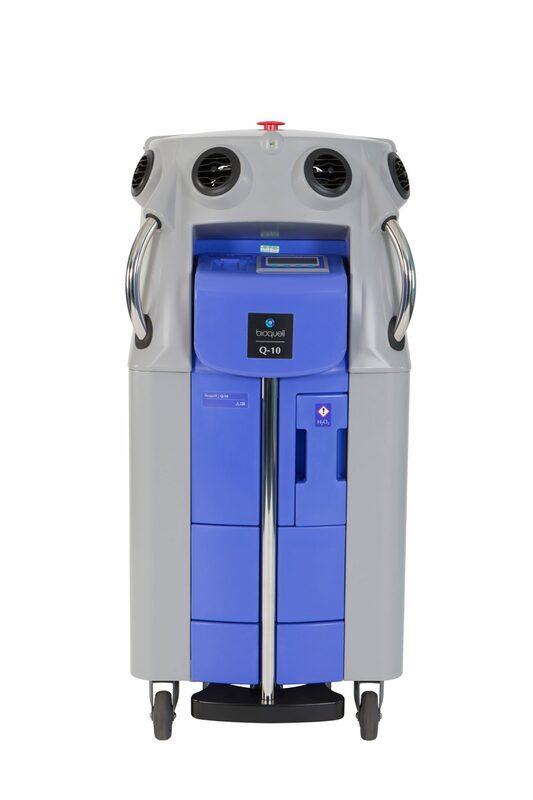 Clarus C is a top-notch multifunctional hydrogen peroxide vapour generator to ensure advanced disinfecting and surface sterilising even up to 400m3. 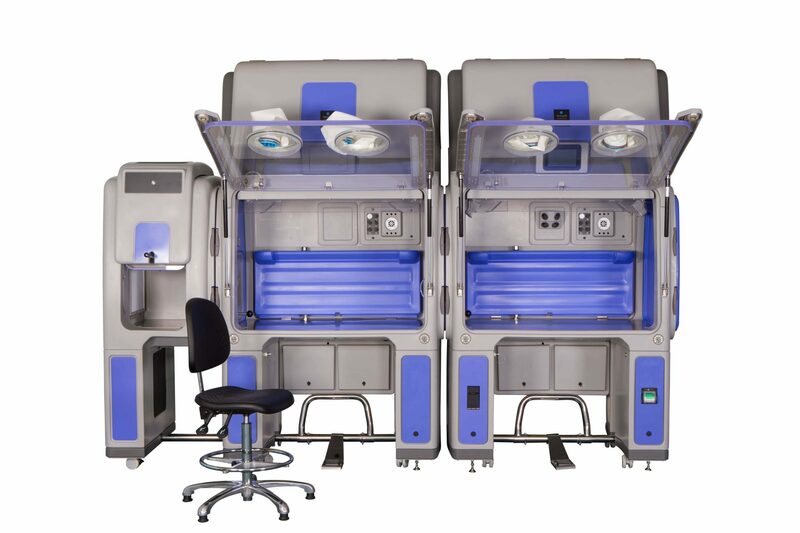 This system is designed to bio decontamination of research, production and application rooms, chambers, contamination isolators, technology and laboratory equipment under strictly controlled pharmaceutical conditions. 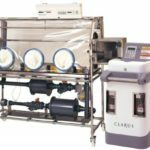 Clarus technology is compatible with most of the materials and equipment including electric and electronic devices and offers optimal cycle times to diminish downtime on production equipment. 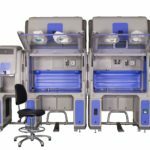 The HPV disinfection technology has been further combined with new features to ensure complete solution involving fixed / mobile disinfecting configurations for equipment, machine houses and rooms up to 75m3. 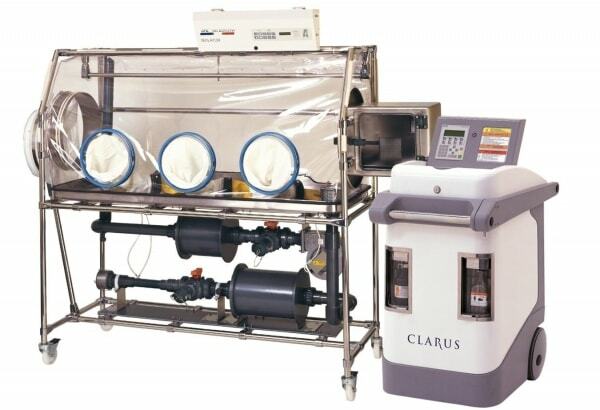 With the fast application of bio decontamination cycles and PLC control, simple integration of Clarus L2 with equipment / furnishing is possible. 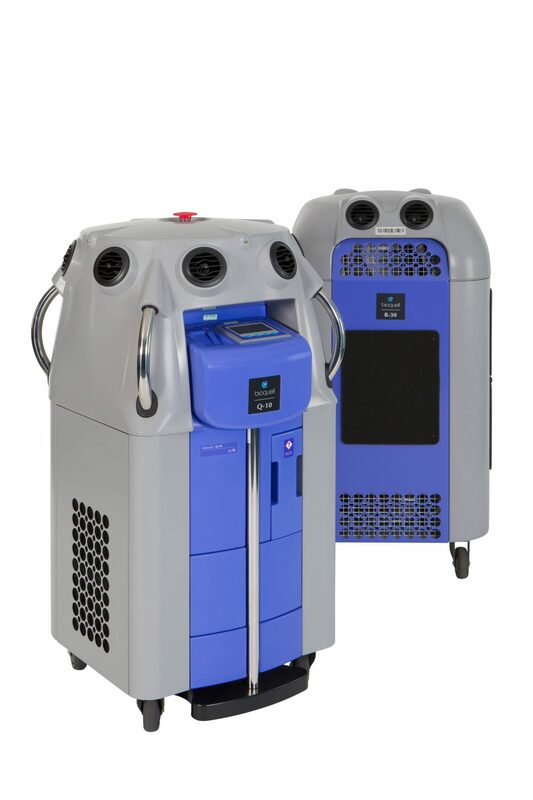 Bio decontamination of flexible, multipurpose generator rooms and machine rooms up to 75m3, with small floor-space and minimum space requirement. 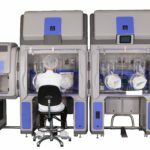 Critical situation monitoring with pre-set “Alert” or “Action” signals – compatible with GMP/GLP requirements. 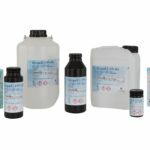 Optimised cycle performance with fast and effective bio decontamination, to diminish downtime – no need to preparation, the process works under ambient conditions. 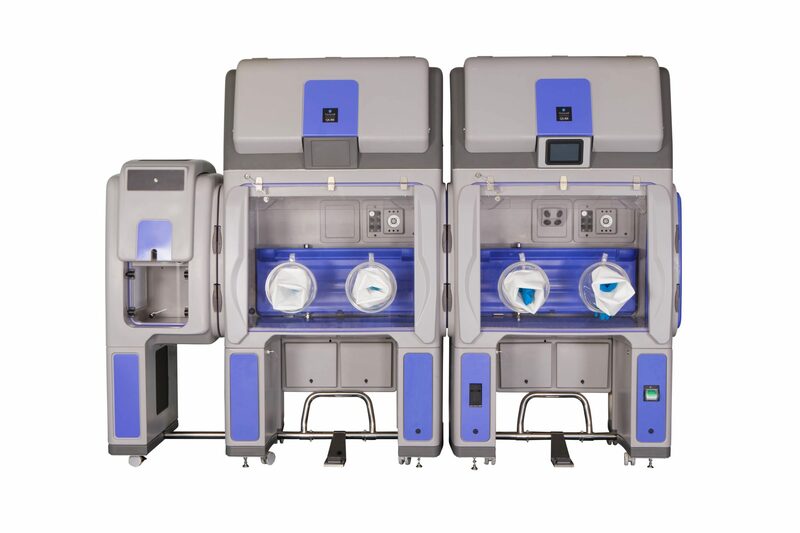 Cutting edge software and Siemens PLC control to use with ease and for simple integration into building management systems (BMS) or into the Clarus PORT fast disinfecting pre-chamber. 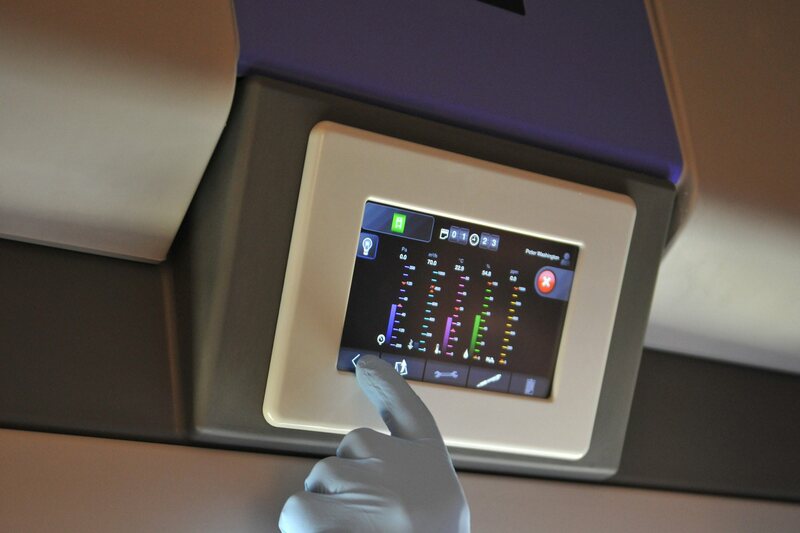 Clarus PORT is a state-of-the-art, fast bio decontamination chamber using low temperature and residue-free hydrogen-peroxide vapour. 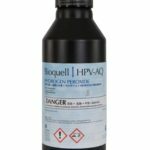 Hydrogen peroxide vapour is recommended for use with aseptic processes, bio-technological and life science applications due to its safe and fast sporicidal disinfecting affect. 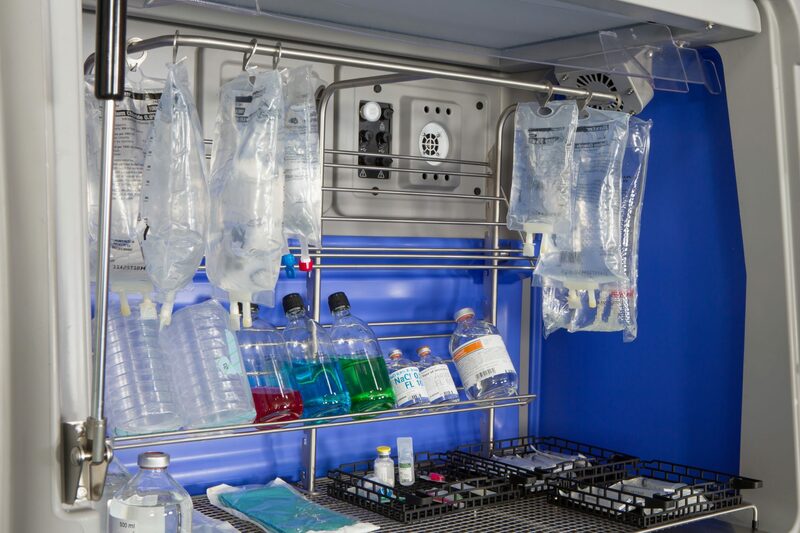 Owing to the swift bio decontamination cycle the use of the latest sporicidal disinfection and vaporizer technologies are offered in EC GMPs for use in sterile processing or the “just in time” transmission of materials, equipment and components. 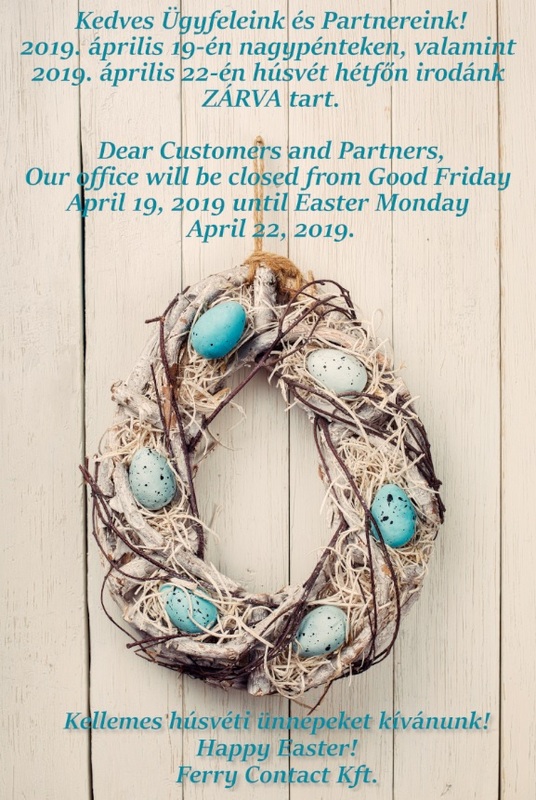 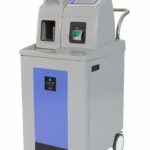 With that the labour intensive hazardous, difficult to control and unenforceable procedures involving manual alcohol sprays and sterilizing cloths are no longer used. 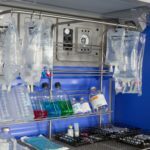 BIOQUELL Room Bio Decontamination Service (RBDS®) offers key advantages in disinfection for application in pharmaceutical, bio-technological, biomedicine, bio-terrorism, food processing and environmental protection. 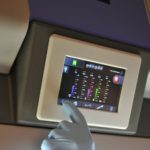 This unique offer provides entirely controlled scheduled and eruption/emergency services wherever biological stress is suspected or needs to be inactivated. 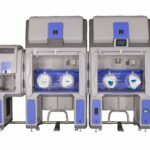 RBDS offers fast and effective solutions of the clients’ demands for use with contaminations of any extent from small rooms to enormous facilities. 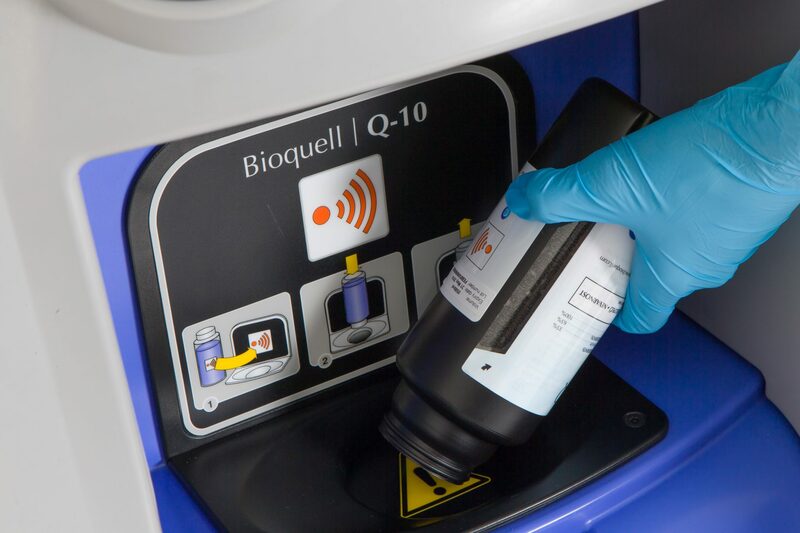 BIOQUELL has proven the effectiveness of hydrogen peroxide vapour eradicating bacteria, viruses and fungi as an agent to remove bio contaminations. 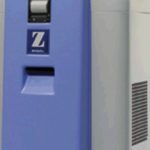 We are at your disposal with further information regarding any particular microorganisms or material compatibility..
EBDS® is an unrivalled service provided by the BIOQUELL applied to the bio decontamination of laboratory equipment, including CO2 incubators with the use of third generation hydrogen peroxide vapour technology. 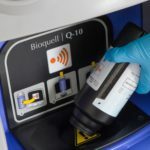 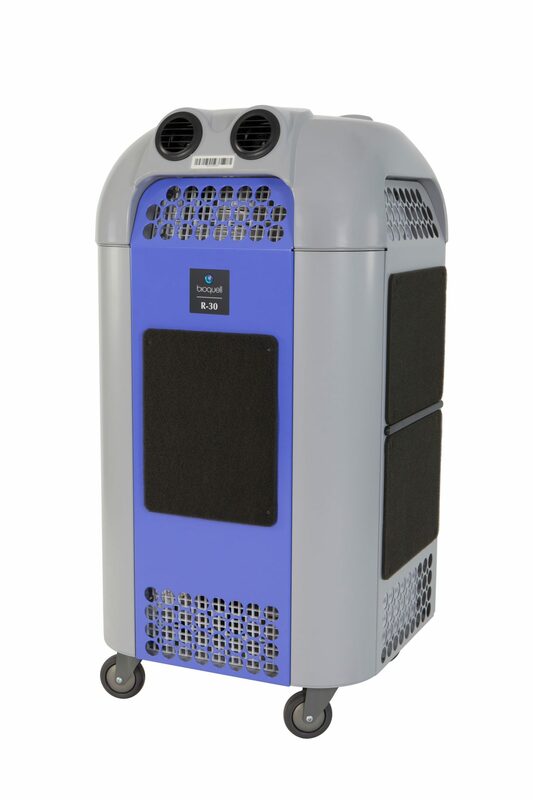 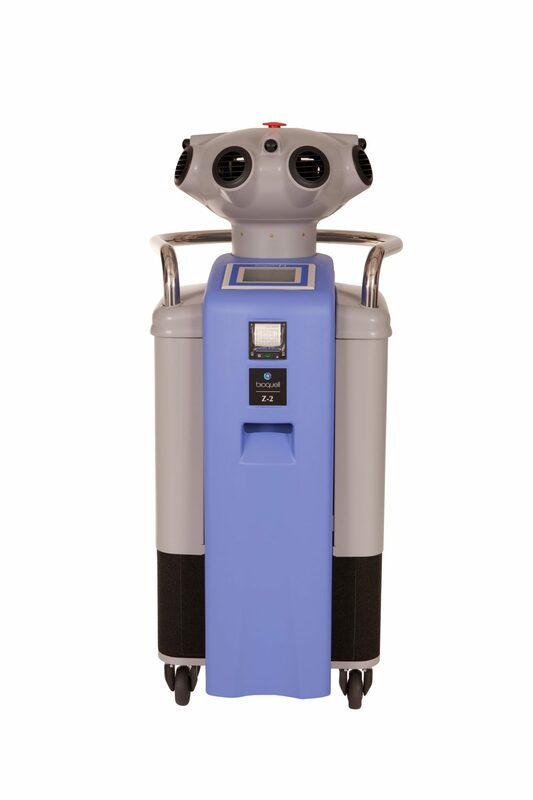 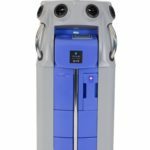 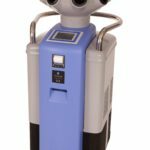 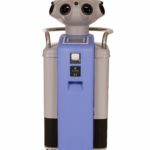 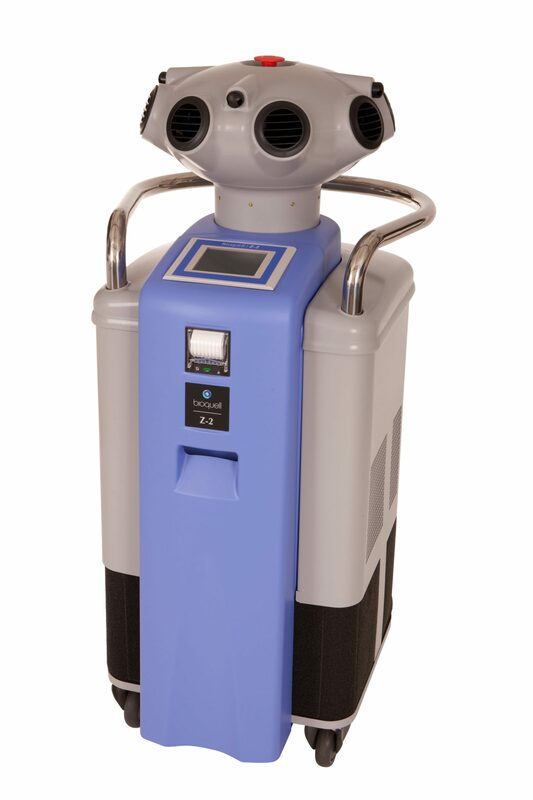 BIOQUELL offers the compact and mobile Clarus S hydrogen peroxide vapour generator easy to move between rooms to provide the equipment bio decontamination service. 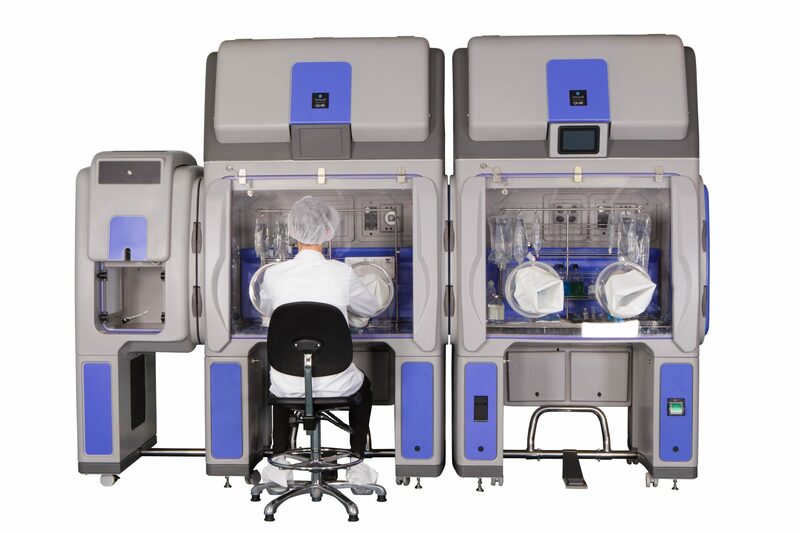 Our staff, performing BIOQUELL equipment decontamination service, are fully trained in safety.